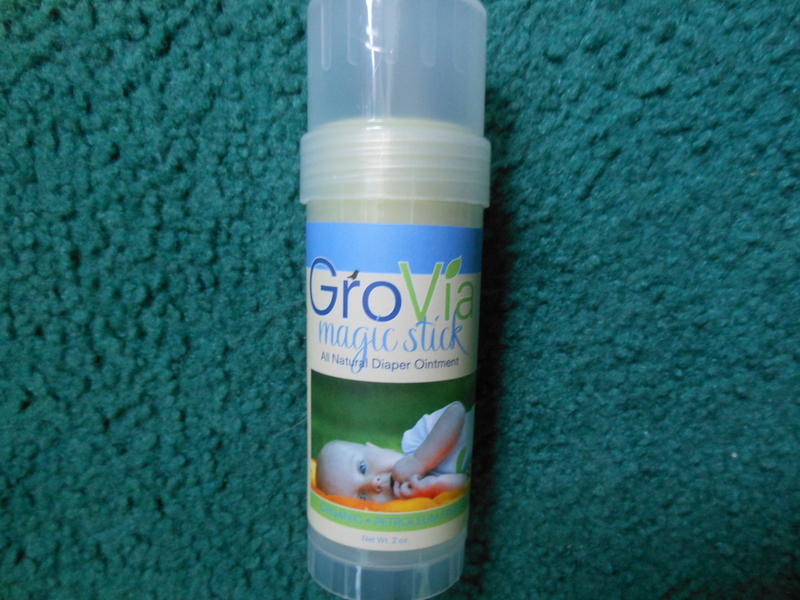 I know it sounds cheesy but the GroVia Magic Stick is LITERALLY MAGIC!!! (btw we use cloth wipes with my own solution mix and we know he wasn’t allergic to the wipe solution) Jax hasn’t had a rash at all since I tried this stick. It’s kind of like a large chapstick, except for the baby bum. It has this cute little box on it that says, “Share the love – not the stick. This one belongs to ” just in case you have more than one kid who needs the stick I guess. The even BETTER part of this stick is it’s all natural, take a look! 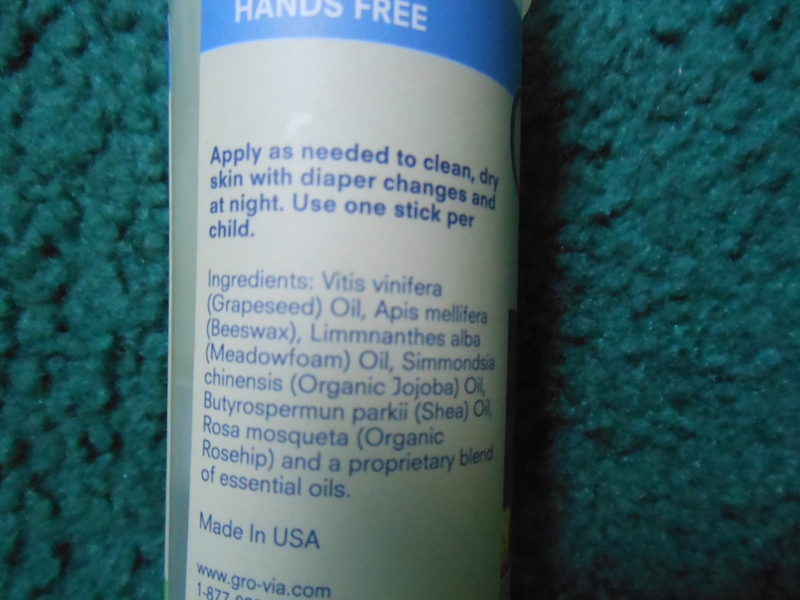 This entry was posted in Cloth Diapering and tagged all natural, baby, cloth diapering, diaper rash, GroVia, mothering, organic, sensitive skin. Bookmark the permalink. Interesting. We used cloth diapers with my first daughter and the only time she got diaper rash was when she was in disposable diapers. So we just avoided disposables and she never had rashes. We used a diaper service for the first six months and then BumGenius cloth diapers. My second daughter was more prone to diaper rash, but never really had anything bad. But this does sound like a nifty product. Thanks for a second. We just had a short bout of diaper rash, and after a few days of as much naked time as possible and a bit of not cloth diaper safe ointment it went away. It was a huge hassle trying to protect the diapers from the ointment, so I’m going to try this stick instead next time. Thanks for spreading the word!